There are a few excellent AV companies here in the Tampa St. Pete marketplace worthy of your phone call. Certainly big dog AV companies like powerhouse J. Thor and Tampa’s AVI-SPL, the team at Industrial Strength “Worry Free AV” , plus BEST AV, St. Pete’s own since 1980, and of course Rick’s Home Theater, for your residential AV needs. Rick’s even does TV repairs, almost unheard of these days. But there is something special about Chuck Taylor, founder of Production Source. Even now, almost ten years after meeting Chuck, and thousands of successful shows later, Chuck Taylor is still my favorite AV guy in Tampa Bay. See, I was lucky enough to be introduced to Chuck Taylor with Production Source, by a mutual friend back in 2005. I had just purchased a building and was full of dreams of creating an Art Lounge. 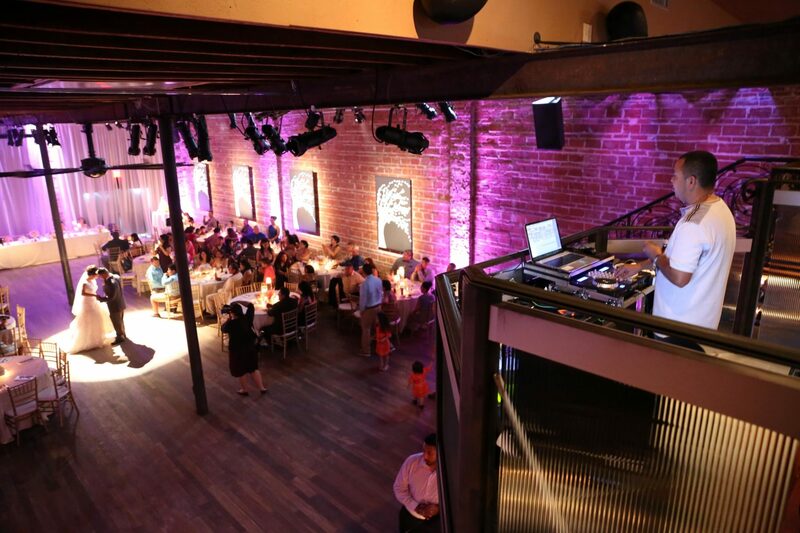 A space that was to be created by the successful combination of Art Gallery meets swanky Lounge powered and paid for inside of a successful event space. Our region had beautiful ballrooms and beach hotels for weddings but not any kind of a dedicated unique event space. Well I knew real estate and construction pretty well, and understood that lighting and sound HAD TO BE INCREDIBLE. So during 2005 all the way until February 9, 2008 when we hosted our red carpet opening, we were renovating and creating – building NOVA 535 Art Lounge. The structure itself, at 535 Dr. M. L. King Jr Street North, was built in 1920 as a 5 and Dime. They called it Slap Happies. During the the 88 years since it’s birth, she was filled with all kinds of different businesses, many of which made poor design decisions. Drop ceilings, unnecessary walls, covering the clay block walls in plaster – she landed in my lap junked up horribly. While my team worked on bringing her back to life, Chuck was hired to make her look and sound beautiful. And what a fantastic job he did! I affectionately call Chuck “Gandalf”, as he’s the most talented in the A/V world that I’ve met. I’m honored and enormously grateful for his help, support and brilliant design work here at NOVA. Chuck has been in the AV business for about 30 years, and has designed and produced shows for just about everyone in the entertainment world. Thousands and thousands of successful shows later, Chuck Taylor, who truly cares about his clients, is one of Florida’s best, who keeps getting better! Here is just one of likely hundreds of videos to give you a taste..
Chuck took the empty shell of 535 and created such a magical space, with incredible sound, video and lighting systems all built in and ready to delight our guests. He did his job a bit too well here, as aside from upgrades and repairs, we mainly use him now for staging, and live music production. Live music is a beast and to get it right, in harmony, you need someone that really knows their craft. He told me to be really really careful of that beast – producing live music events, and I’ve heeded all of his wisdom as best I can. I’m spoiled now, as I hear live music all over the world, with an ear and eye for excellence. He did such an extraordinary job for us, one that continues to thrill and delight our clients and their guests. Thanks Chuck! We’ve had some incredible live shows here, and the sound is incredible. The combo of the rough clay block walls, open rafters and loft style create beautiful harmonics. NOVA sounds lovely. Even the big players like Bill Edwards, who Chuck produces for with Bill Edwards Presents, St. Pete’s super groovy Rob Matson, who has produced virtually every show under the sun, legendary producer Johnny Green and my pal the incredible Tom Gribbin, along with Mr. Tampa Bay Blues Fest himself Chuck Ross, and of course we need a friendly Brit to make this legit, author and rock n rolla Tony Michaelides they all agree – live music sounds amazing here at NOVA 535. These guys are THEE music pros and legends in town, and I’ve been MOST appreciative of their love and support and wisdom over the years. Part of what makes Chuck Chuck is that he’s a great listener and really cares about the project, not the almighty $. He should be charging more for his time and expertise, something I remind him of AFTER I’ve paid each invoice. =D See he listened to this starry eyed local Entrepreneur Michael Novilla, who wanted an art gallery that also was a lounge. Where guests could enjoy the well lit art work and gallery space, while subtle background music throughout the entire property. Even when they had to visit the restroom suites. Yes suites, that’s another story. Then at the twist of a few knobs and dials, the lights could dim, the dance lights be engaged and the volume and bass pumped to impress even the most sceptical DJ. From grandma’s flower arranging luncheon to and afternoon Doctor’s powerpoint seminar then finally to a packed house dancing and swaying to DJ Fresh’s incredible beats. All with a single system, that only happened because Chuck listened to Skeie who said to take care of Novilla. Thank you Gentlemen! Speaking of an incredible DJ Fresh party…. 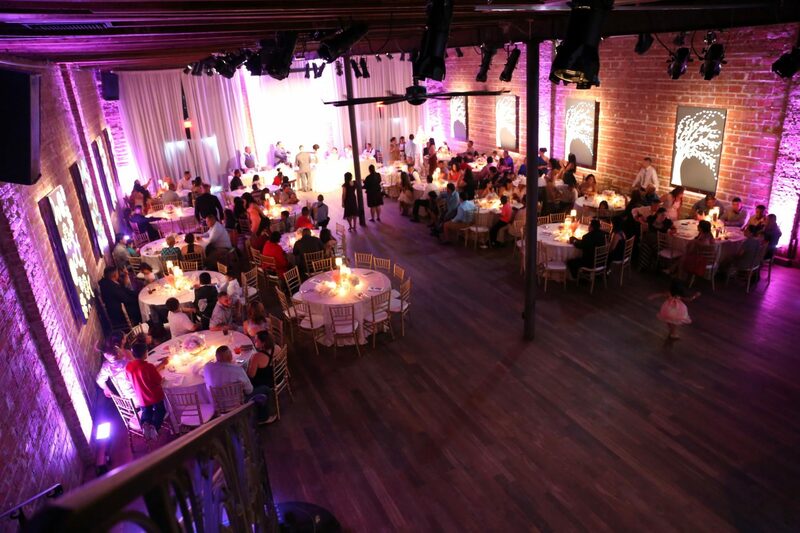 So we conclude another discussion here in downtown St. Pete at wedding and event venue NOVA 535 Unique Event Space. People always ask “Is NOVA open to the public?” and I explain that 98% of the time NOVA is closed for private events, Weddings, Receptions, Mitzvahs, Film Shoots, Corporate Parties, Fundraisers, Birthdays and such. If you or a friend is looking to rent NOVA 535 for an event, please click here. Thank you and good luck to us all!